I took a mini-break from my work week to spend a couple of days with my family, and on Wednesday my mom and I took a road trip up to Calistoga for a spa day. 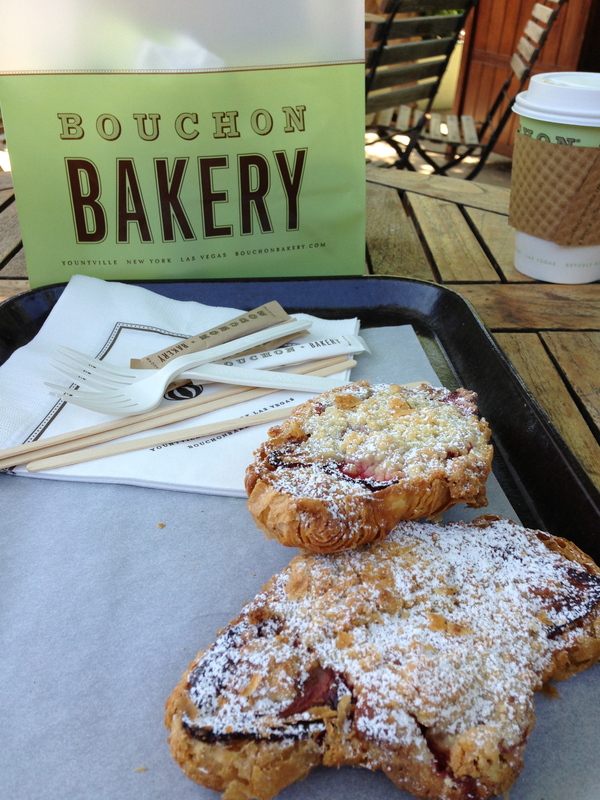 We first stopped in Yountville to grab some pastries and coffee at Bouchon Bakery. I’m going to forever refer to Washington St as “Thomas Keller Drive” since Ad Hoc, Bouchon Bakery, Bouchon and French Laundry are all on the same street, converging into a magical foodie vortex filled with pea chutes, champagne flutes and butter. Sometimes the simplest things bring pure delight, like this Rasberry Almond croissant with a streusel topping. Janine Weissman and her team of bakers fill the Bouchon Bakery with confections, breads, cookies, cakes and tarts that are dazzling. In my book, no trip to Napa would be complete without an A.M. stop at Bouchon Bakery! 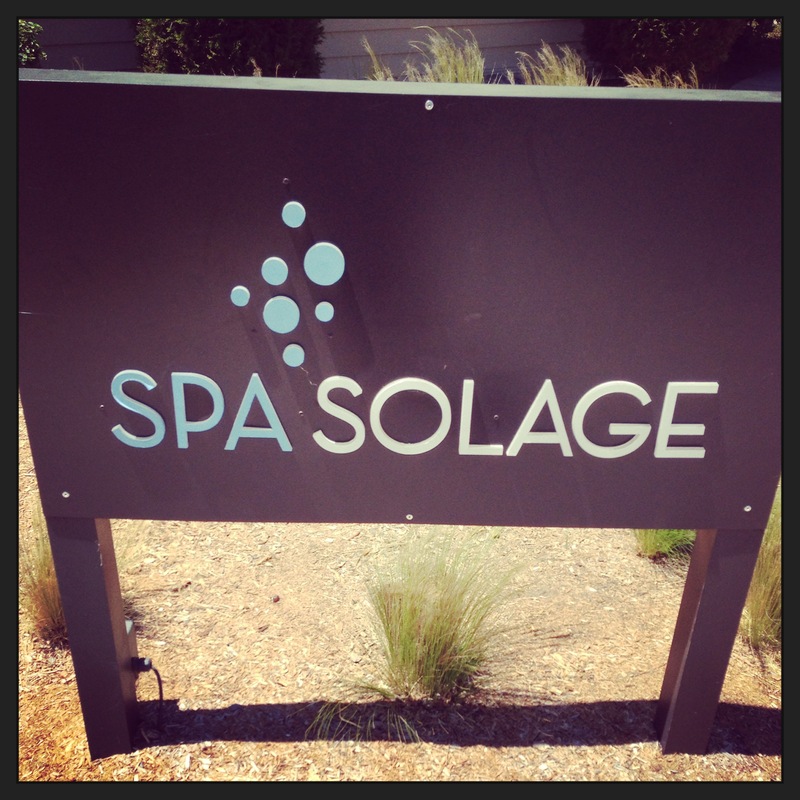 We continued onto Calistoga where my mom and I spent a belated Mother’s Day at the Solage Spa and Resort where my mom enjoyed one of their signature massages and I tried the Mudslide, which was a unique take on the traditional Calistoga mud bath. I’m a bit of a germaphobe, so the thought of sitting in a vat of mud that countless other people have sat and detoxified in just wasn’t too appealing to me. 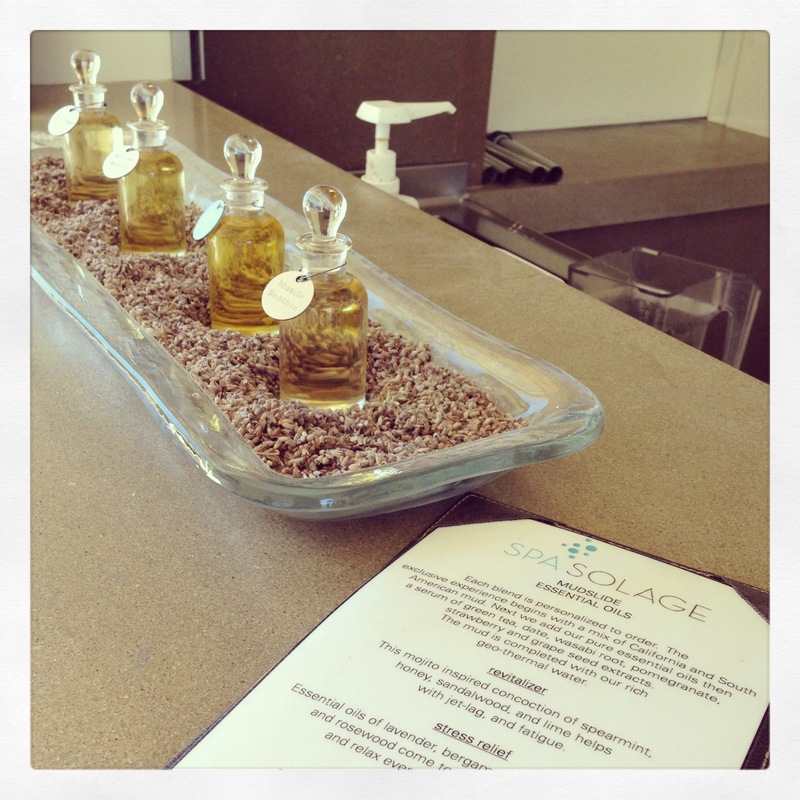 At Solage their mud treatment includes a pail of a personalized mix of mud, clay, volcanic ash, mineral water and an essential oil of your choice. You take your pail into a heated sauna apply the mud and rest to let the mud detoxify. Then you rinse off and are escorted to a mineral bath soak and the treatment ends with a relaxing sit in a zero gravity pulsating chair that is synchronized with the tones of the music played in the room via headphones. It was such a unique experience! The heated mineral pools were sublime, and the property was immaculate. We lucked out on a day that wasn’t too crowded, but this property books up pretty quickly. Both my mom and I raved about the service and amenities and we’re already looking forward to our next visit! A perfect day in the wine country, and we didn’t go to a single winery! I still dream of that pastry! Fantastic! Previous Previous post: May 18th is Art Museum Day!